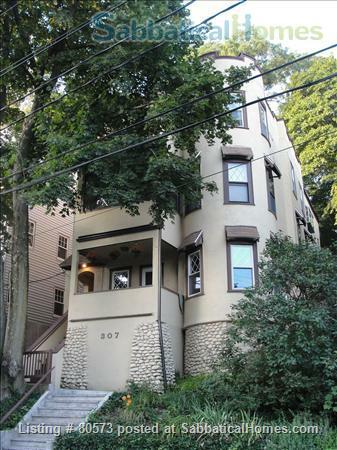 Beautiful, sunny, third floor fully furnished apartment in a Victorian house in Arlington's Jason Heights Historic District. Spacious, open floor plan, freshly renovated with new appliances. Conveniently located, walk to grocery stores, restaurants, movie theater, shops, park, historic sites, library, elementary and high schools, the Minuteman Bike Trail, and much more. On public transportation routes to Cambridge and Boston. Includes all utilities, wifi by arrangement. I'm an education researcher and evaluator and my wife works in health care at a teaching hospital. We both went to college in the Boston area, loved it, and stayed to raise our daughters who went to the excellent Brookline schools. We've moved into an old Victorian house across town and wanted to make our beautiful condominium available.